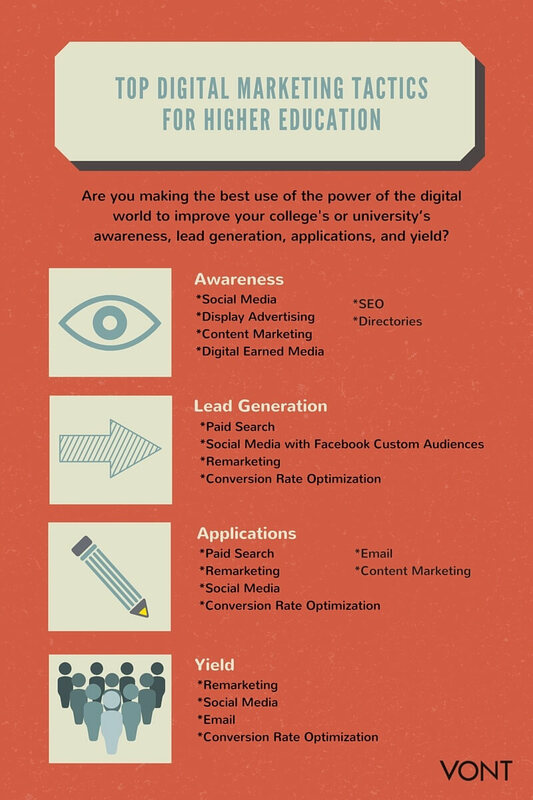 If only there were a super easy, super quick way to check that you’re using all the tools of the digital world to improve your college’s or university’s awareness, lead generation, applications, and yield. Well, now there is! Check out our infographic to see which digital marketing tools work best with each goal. Want more information on how these tools are used in each of the areas? 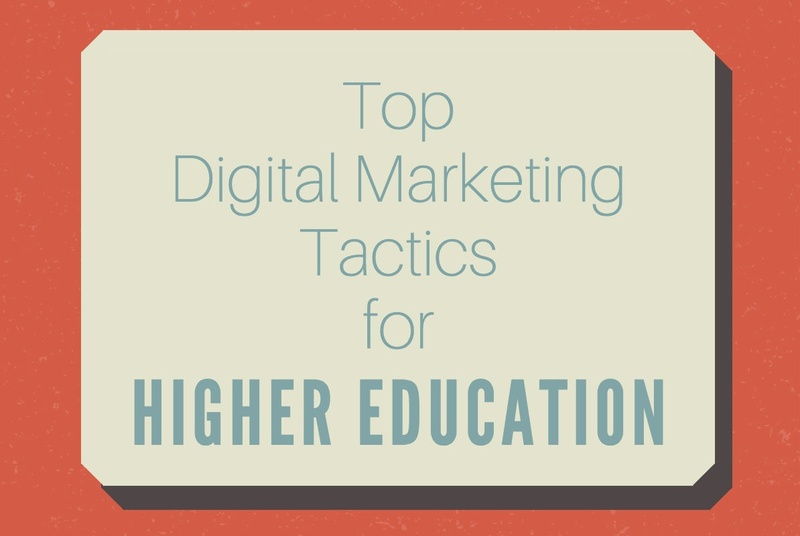 Read our Digital Marketing for Higher Education web page. If you’d like to learn more about VONT and the work we’ve done with our higher education clients, visit our Work page. Or if you have a question, either leave us a comment below, or contact us. We’ll get right back to you!